"We both laughed about it and thanked each other. There really is nothing more to this." The Bulgarian grabbed and kissed Vegas Sports Daily reporter Jenny SuShe on the lips at the end of an interview following his seventh-round knockout win over Bogdan Dinu on Saturday. 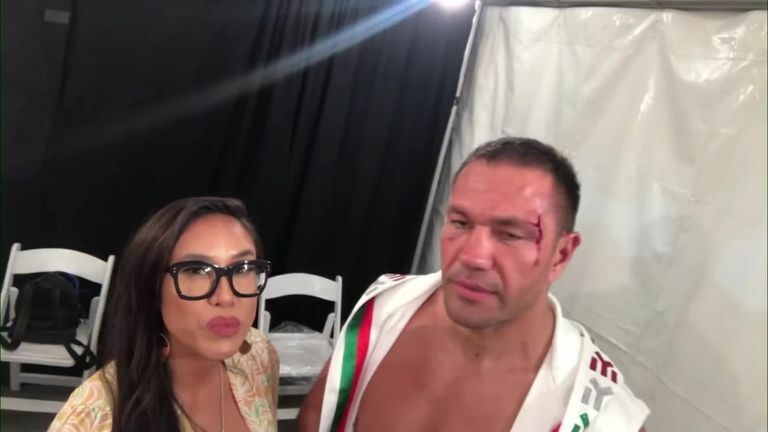 SuShe said the incident was "embarrassing" and "strange" but in a post on social media on Tuesday, Pulev claims the pair are friends and have joked about the kiss. The incident came after he was asked by SuShe if he could face former heavyweight world champion Tyson Fury in the future. Pulev responded with a "Yes", before forcibly kissing SuShe and walking off, with fans heavily criticising the 37-year-old for his actions on social media.